This is one of those 'should read' books that I should probably have read decades ago. Better late than never I guess. Mother (Mary) Harris Jones was one of the greats of the 'golden age' of American labor. It's a select company, Lucy Parsons, Big Bill Haywood, Joe Hill, Eugene Debs. Elizabeth Gurly Flynn, Ralph Chaplin, etc. : It's a bright galaxy to which she belongs. She may or may not belong to yet another exclusive club. She as born in Cork Ireland sometime in the 1830s. Today a monument to her memory stands in that city. Her family emigrated to Canada some years later where she initially trained as a teacher in a Toronto Normal School. The actual date of her birth is uncertain. As to her birthday being May 1, May Day, it seems almost too convenient. In terms of the year shortly before her death in 1930 she claimed that the birthday marked her as 100 years old. That would put her in the other exclusive club - of centarians. The question of her birthday has never been resolved. As to her claim remember where she was born. Blarney Castle is not that far from Cork. In any case she had a long life, and was an outstanding labor militant from the days of the Knights of Labor until the agitation of the Depression. This life was filled with exciting struggles, and it is well worthwhile to hear her description of having guns pointed at here with a death threat attached, of hiking it up mountains via creek beds in the cold to come to the aid of miners surrounded by armed goons in the employ of the mining bosses. Her ability to 'string pull' was perhaps just as interesting as her physical courage. Politicians listened to her. Her major focus of organizing was in the mining industry, and she became so prominent that the nickname 'the miners' friend' stuck. Her scope in such campaigns was wide, not just the men themselves but their families, local communities and, as mentioned, the far away politicos. She also organized in the silk mills, railroad shops and for the campaigns against child labor. "Those ere the days of sacrifice for the cause of labor. Those were the days when we had no halls, when there were no high salaried officers, no feasting with the enemies of labor. Those were the days of the martyrs and saints." The last chapter of her autobiography is titled, appropriately, 'Progress in spite of leaders'. Jones faced her share of tragedy during her life. Personal as when she lost her husband and four children and those of the many workers she had met and befriended over the years. Labor disputes often took a fatal toll in those days. The book is prefaced with an introduction by Fred Thompson and a foreword by Clarence Darrow, both very useful in setting Jones' book it a wider context and pointing out here very occasional errors. All told the book was captivating, and I wish I read it long ago. I have a small interest in languages and linguistics in general. Not that I could claim to be even moderately expert on the subject, but I've always found the field fascinating. The history of language is a field to itself, and this book makes a claim to introduce the reader to the development of the English language from Anglo-Saxon/Old English Middle English and on to Early Modern English. I hardly think I am an expert judge, but I think the author did a competent job. He begins in the middle so to speak with some selections of English texts from various periods. The Bible is always convenient for this sort of thing, and the author tabulates Latin, Old English, Middle English and Modern English versions of a selection from the Vulgate New Testament. The similarities, differences and development are presented, and he sets to work analyzing the changes. After this brief plunge in the waters he returns to the beginning, setting English amongst its relatives in the Indo-European language family and its Germanic branch. He uses this to introduce theories of how languages develop across geographic distances. Then it's on to an introduction to phonetics. I have to admit that I found this part somewhat hard going though I hope that at least a part of the classification of sounds into voiced/unvoiced, frictive/non-frictive, front, middle and back, high, central and low, diphthongs or not, nasal or not, palatal or not, the presence or absence of 'stops' and so on. He end this section with a chart that I must admit I didn't find as clear as I would have liked. 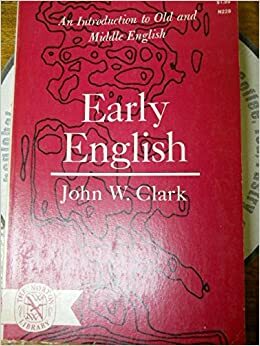 This basic introduction, however, is central to linguists in general and to his presentation of the history of the English in particular. From there it's into the meat of the subject; how did old English sound and how was it spelt. As to the latter he admits that most of the documentary evidence is from one dialect of Old English ie West Saxon. There is enough evidence, however, to infer the existence of other dialects, their difference from the 'standard' and at least some of the details of their pronunciation and writing. As an interesting little gemmule for those of us who have read and appreciated versions of Beowulf he mentions that OE poetry hardly ever uses rhyme. There is extensive discussion of how OE was spelt, how it was influenced by other languages and its regional variations. The author also presents many interesting items on how OE manuscripts actually physically looked. Just that is novel and fascinating in its own right. Word forms, dialects and 'literature' (as opposed to didactic works) each receive their own treatment, and the changes English underwent before the Norman invasion are tracked, or at least speculated on. The basics of phonetics that the author previously presented are invaluable for this project, and this rather specialized treatment of one language was something of a revelation to me about the general methods of linguistics which had always seemed rather opaque before. The discussion of Middle English and its evolution is shorter than that of OE even though the sources are far more numerous than in the earlier period. The influences of French which hardly began with the invasion and Latin are discussed as well as the 'survivals' from OE, and the reappearance of colloquial speech in written texts. The sounds of the language during this period are analysed as well as the appearance of another influence, loan words from Scandinavia. The Middle English language was the language of Chaucer, but Chaucer was only a small part of what has survived, a corpus far greater than that from OE. 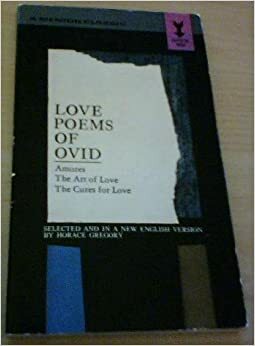 Piers Plowman is frequently mentioned, and it reminded me that this work is one that I have never read even though I have seen it mentioned very often. Once more the author goes through the dialects, the development, sounds and physical appearance of the language during its changes into Early Modern English. The section on medieval manuscripts and publishing are fascinating on their on. What was important then differs vastly from what is considered noteworthy today. Attribution for instance. All told I enjoyed this book immensely even if I am modest about how much of the technical details I actually fully comprehended. One nice little item I did take away - when people use "ye" in imitation of past English it is actually a common mistake. The letter that people misinterpret as a "y" in older manuscripts was actually pronounced "th". Thus (Yus ?) 'Ye Olde Curiosity Shoppe' was actually 'The Olde Curiosity Shoppe'. The "e"s at the end of the words have their own story as well. Not exactly a biography but more of a year by year recounting of Einstein's scientific papers along with significant events of his personal life and world events to situate the science. The book begins with a brief timeline of the years 1879 (when Einstein was born on March 14) to 1900 and opens in the year 1901 with his first scientific paper 'Conclusions drawn from the Phenomena of Capillarity' in Annalen der Physik. not world stunning, but quite competent. From here it's up and away, but there are still only four more papers until the year 1905 when five papers changed physics forever. 'On a Heuristic point of View Concerning the Production and Transformation of Light' introduced the quantum theory of light. 'On the Motion of Small Particles Suspended in Liquids at Rest' established the mathematical description of Brownian motion and, believe it or not, is Einstein's most cited paper. There was also 'A New Determination of Molecular Dimensions', A rework of Einstein's doctoral thesis. There were two papers that presented the theory of special relativity: 'On the Electrodynamics of Moving Bodies' and 'Does the Inertia of a Body Depend On Its Energy Content'. All of these papers were presented in Annalen der Physik. The latter two papers presented postulates such as the constancy of the speed of light, the equivalence of mass and energy and the connectedness of space and time. This was Einstein's 'Miraculous Year' when modern physics was born. Note that he early contributed to the theories of quantum mechanics which were to give him so much worry in later years. Over the next few years Einstein elaborated on the ideas presented in his papers of 1905 and began to publish in journals other than Annalen der Physik. As he developed his theories other experimentalists such as Rutherford developed the nucleus/electron model of the atom, and the gene theory of heredity was being elaborated. It was a time of rapid advance in many fields not just in physics. While the scientists drove forward in their laboratories the world of politics fell back into the modern barbarism od WW1. With this Einstein began his career as a 'public intellectual' by declaring himself as a pacifist associating himself with anti-war initiatives, all of which were fruitless. The first test of Einstein's theory was to occur by observations of a group of German scientists of an eclipse of the sun in Russia. The eclipse happened on the same day war was declared. The scientists were imprisoned, and the test never happened. The confirmation of relativity waited until 1919 and Eddington's expedition. While WW1 raged Einstein worked further on his relativity theory. In 1915 three new papers, 'On the General Theory of Relativity', 'Explanation of the Perihelion Motion of Mercury from the General Theory of Relativity' and 'The Field Equations of Gravitation' expanded his 1905 special relativity into the 'general theory of relativity'. The new picture of space and time was complete, or at least as complete as it could be given what was known about the Universe at that time. With these papers the flatness of space-time that remained even in special relativity curled up to produce the curved space of his theory of gravitation. All this time Einstein continued his work in quantum theory and his contribution to pacifist causes. Others began to work with Einstein's theories. In 1916 Karl Schwarzschild solved Einstein's equations for the area surrounding a star. He showed that as the star's radius shrunk to number less than (2GM)/(c^2) the 'Schwarzschild Radius' the curvature became infinite. Thus was born the idea of the 'black hole'. Einstein began to write popular accounts of his theories. In a 1917 paper on the large scale structure of the Universe he introduced his 'cosmological constant' to account for what was believed at the time to be a static universe. As evidence for an expanding universe came to light he began to describe this as, "my greatest error". Yet further on in history with the discovery of 'dark energy', however, it turned out to be right after all. Efforts began to unify the forces of nature, gravitation with all the others. Only electromagnetism was known at the time; the strong and weak nuclear forces were yet to be discovered. Despite the efforts of Einstein and many others the unification of gravity with the other forces remains unsolved today. The war ended. A new solar eclipse was due, over the Atlantic, and Einstein's explanation of the bending of starlight around the sun could be tested. 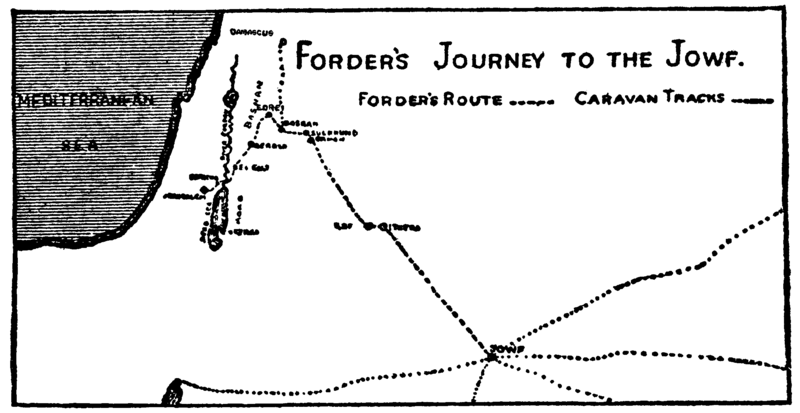 Eddington's expedition found the proof, four days before Einstein's wedding. It was a good year for Albert. After this decade of discovery Einstein's life remained productive but never again "reordered the universe". Einstein intensified his pacifist, democratic socialist and Zionist activity. Though he never joined a Zionist organization and even declared that he was not a Zionist he continued to sympathize with the idea of a homeland for the world's Jewry. His socialism could at times be quite radical. It's not in the book, but in a visit to Barcelona he went out of his way to visit the headquarters of the anarchosyndicalist CNT. His nephew Karl was a more convinced anarchist and fought with their militias during the Spanish Civil War. The story continues year by year, weaving Einstein's personal life with the events of the day, his popularization of physics, his political activity and his continued scientific work. In 1920 he first conceived the idea of nuclear power, but as yet he had no idea of how it would come about. Einstein was 'in demand', and he soon began to travel the world. With the rise of Nazism in Germany Albert and his family wisely decided to emigrate In 1933 they sailed for America which was to be his home of the rest of his life. In the face of the rise of Hitler Einstein began to modify his pacifism. With the outbreak of WW2 he was one of the motive forces behind convincing the Americans to develop the atomic bomb for fear that the Nazis might develop it first. He remained in Princeton through the rest of his life, still productive scientifically and mentoring new generations of physicists. After the war he, like many of the scientists connected to the creation of atomic weaponry, developed great concern with their potential for destruction, and he spend much time in his latter years campaigning for the UN as a 'world government' and for disarmament. His original scientific output declines, but with a younger collaborator he continued publication right up to his death in 1955. I can heartily recommend this book. The author manages to present all of Einstein's scientific output with clear explanations appended to the most significant ones. His wider political and philosophic writings are also documented if not in such detail. The yearly almanac formula works masterfully and allows the author to situate the science in the context of Einstein's personal life, world events and developments in other scientific fields. She concludes with a useful bibliography, index and photo credit list. It was a worthwhile read. It's been a long time since I have blogged, and it's time to try and get back in the swing of things. There are a couple of book reviews that I have been working on for some time, but they have fallen victim to my inborn tendency to go on and on and on and on. I'm going to try and restrict myself to short reviews of some recent things I've read, both books and articles. The discipline of brevity will hopefully be good for me. This book is part of the 'Vintage Spiritual Classics' series which includes hat are probably more attractive items such as 'The Little Flowers of St. Francis of Assisi' and 'The Imitation of Christ'. Unlike these the author sets herself a formidable task, trying to make the anchorites and hermits of early Christianity attractive. She's not entirely successful at it. 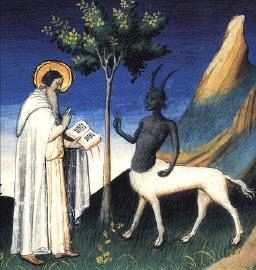 This subject has always brought the picture of St. Anthony of the desert to mind, a strange 'holy man' up on a pillar for decades, food and water hauled up to him, bodily wastes hopefully removed by the faithful before they build up to a hill that the anchorite could easily walk down should he decide that mortification of the flesh is no longer a good idea. That's there, but it was a small part of the picture, very small. Reading this it seems that the monks, both male and female, certainly did their best to tame the evil of the body. Often in rather petty and frankly repulsive ways as they engaged in show off competitions to determine who was the most "holy" in this practice. Yes, they were more often monks living in community rather than solitary hermits. It seems that the latter often grew out of the former as the devotee in question gradually moved their habitation further and further from those of the other monks. To preserve the quiet of their communion with God ? Because of good old 'spiritual pride' and the ill-disguised competition mentioned ? Because of the social tensions expected in such communities ? Because they were crazy ? Or simply because they couldn't stand the smell ? You might gather that these sort of communities wouldn't take the old saw "cleanliness is next to Godliness" to heart. Besides that was probably a Protestant byword anyway. There are both stories and quotations in this book, the quotations often merely the setting of a story. There's a wide cast of characters, male and female, benevolent and obviously antisocial, eminently sane and insightful or suffering from the mother of all obsessive-compulsive disorders. The book is at least a good presentation to some, like me, who have a monochromatic view of this fad in early Christianity. There is the usual collection of miracles. The Devil drops by no and then to say hello. Wild beasts are tamed or driven off. A lion is convinced to mend his ways and live as a vegetarian for years. The sick are healed. Angels and God himself wander in and out of these desert habitations. Fasts and refusal of water are carried on long beyond any possible believability. And so on. Some of the sayings have an almost Zen-like flavor. The difference is that they seem to gather around the 'charity pole' much more than this sort of thing does in Buddhism or Daoism. Some of the most attractive sayings and stories are actually examples of violating the rules of monasticism in the service of the higher good of charity. This is a relief from the more bizarre recounting of self punishment in the expectation of divine revelation. All told interesting, but I hardly think the author has painted an attractive picture of her subjects.